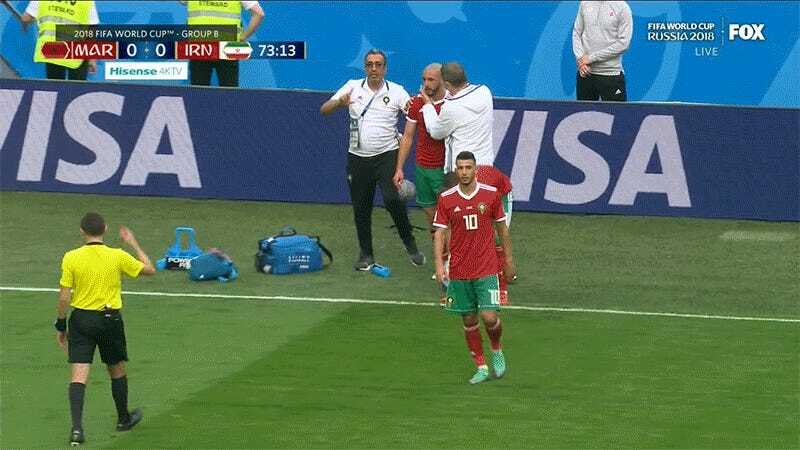 Moroccan midfielder Nordin Amrabat had to come out of today’s group stage match against Iran after slamming his head into the ground in the 72nd minute. Before eventually being subbed out, a clearly wobbly Amrabat had to be prevented from going back onto the pitch by two trainers. Morocco went on to lose the game 1-0, thanks to an own goal in stoppage time. Can Russia Stop Its Far-Right Hooligans From Ruining The World Cup?